Why isn’t my convo saving? 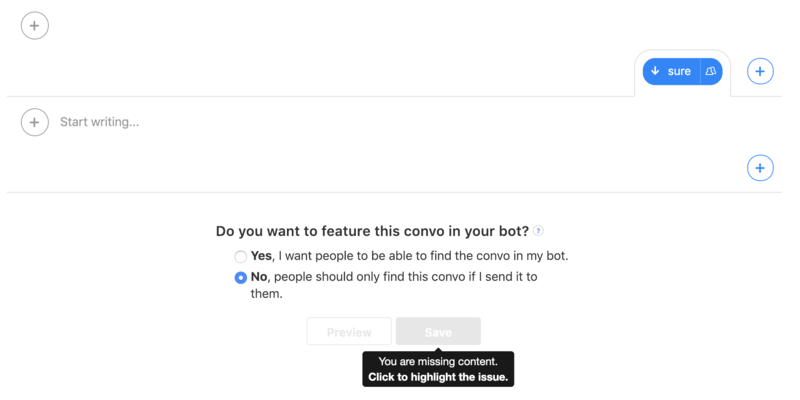 If you are having trouble saving your convo, you may have created a quick reply that is linked to the next section, without having a next section created. Try adding content to the following section, and re-save your convo. Here, the save button is disabled because the Reply is unable to link to the empty next section. 2. Here, the Save button is enabled because the Reply has linkable content in the next section.